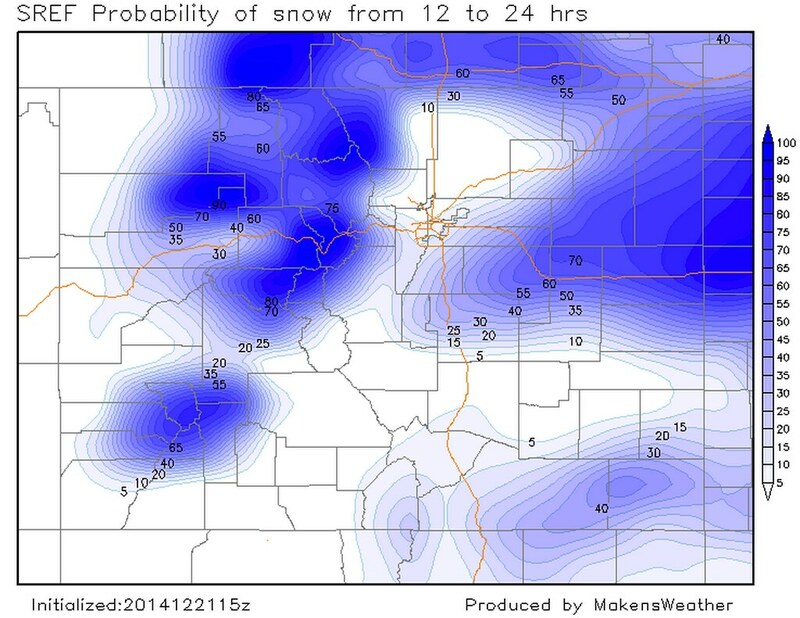 As we posted last night, big time snow is falling in the Colorado high country this evening. 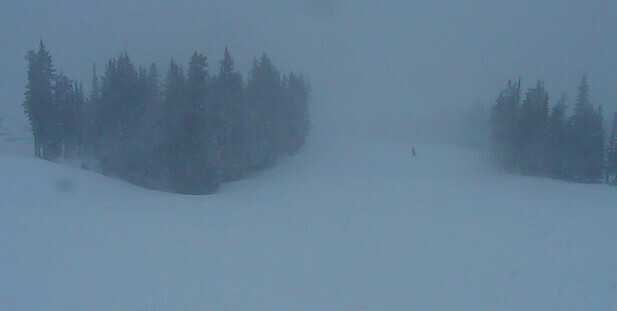 Some resorts are already reporting 5 - 10” of snow today, with more on the way through Monday. If you’re planning to ride some of the fresh powder over the coming days, visit FreshyMap for all the latest ski conditions across the state. Here’s an awesome look at Breckenridge this evening (16” so far just south of town), with additional 10”+ possible through Monday. If your travel plans take you west through the high country, it’s best to wait until later in the day Monday if you can, and check with CDOT before doing so. Across the plains we’ve seen plenty of clouds and a few showers this afternoon. We continue to think a few locations will see some snow over the next 24 hours, but this won’t be a widespread event. Downslope winds will be tough to overcome for communities west of I-25 at lower elevations, with those east of the interstate seeing a better chance for these bands of rain and snow. 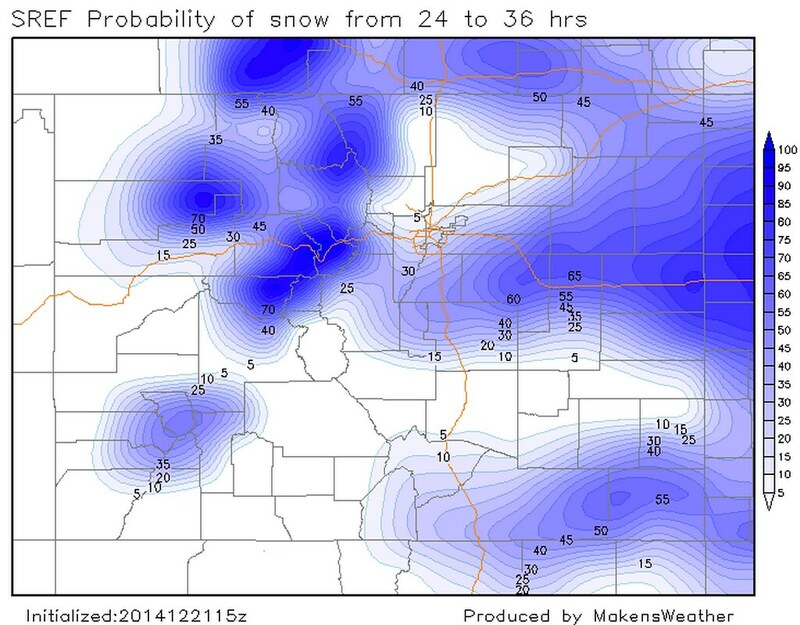 The big question is where these bands will be able to form in and around the Denver metro area. 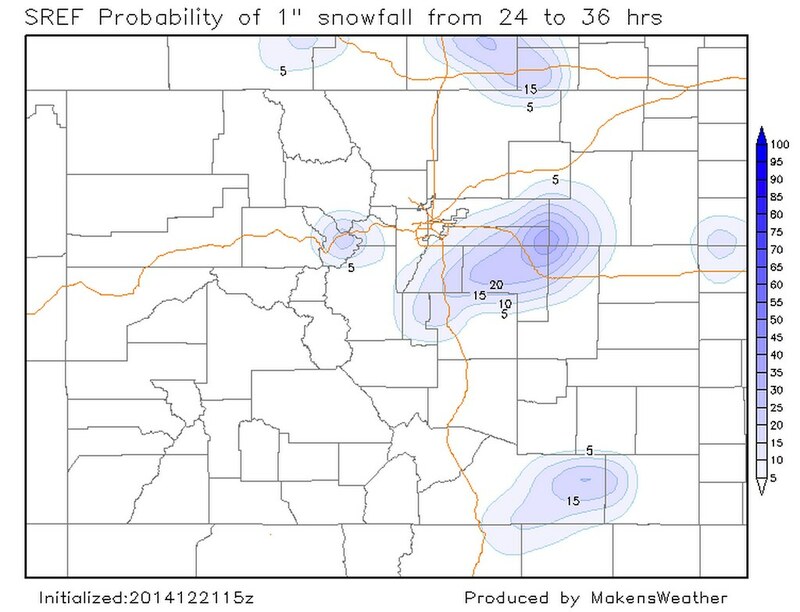 Latest models indicate the best chance for snowfall accumulation through Monday will be south and southeast of Denver proper, with 1 - 3” possible under heavier snow bands. Latest SREF means keep snowfall at DIA at less than an inch, with 1 - 2” over southeast Aurora, Parker and along the Palmer Divide. Again -- these snowfall totals are for areas that see these narrow snowfall bands, not widespread totals. Most locations across lower elevations will see little or no snowfall with this system. While we’re already seeing some banding take place up near the Wyoming border we’ll need to keep an eye on things closer to Denver as we head into the overnight hours. Satellite not all that impressive at this time, so not banking too much hope on snow in the city. We’ll see. The SREF has a chance of snow in these areas for tonight and Monday. However, that’s just a look at snow. Here’s a look at SREF probabilities for at least 1 inch of accumulating snowfall tonight and Monday. Temperatures Monday will be cooler than what we saw across lower elevations today as our storm system pushes east. With those cooler temperatures will be an increase in winds at lower elevations. The National Weather Service has already issued a High Wind Watch for extreme eastern Colorado for Tuesday, with winds on the increase overnight Monday. We dry things out Tuesday, and warm things up a bit too as we head into Wednesday.